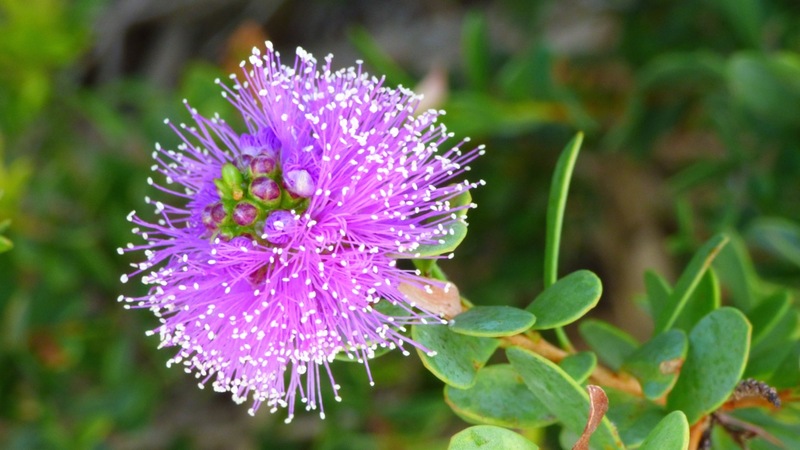 Meet Beaufortia schaueri, more commonly know as Pink Bottlebrush. This is a native shrub endemic to the south west of Western Australia and only one of the many variety of pink colours that can be found. I first spotted this gorgeous little flower when we were camped in the Cape Le Grand National Park, just east of Esperance. You can see a few more shades of pink in this photo gallery: Wildflower Wonderland. We are currently in Busselton, and as I ride along the foreshore pathway, I pass countless shrubs that are laden with gorgeous little blooms like Christmas tree pom poms, and (of course) couldn’t resist the temptation to take a photograph or two. So pretty. Looks like one of those fiber optic Christmas trees! How clever of you to spot that similarity.